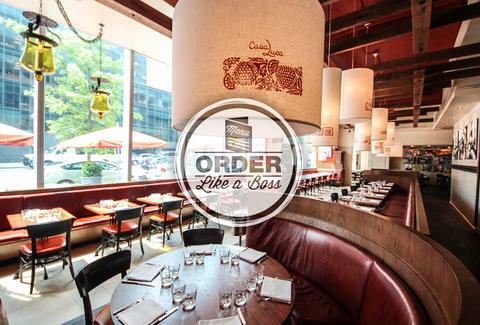 Now that Fiola's James Beard Award-winning Chef Fabio Trabocchi's power spot Casa Luca is open, you should probably know the exact right things to order at this osteria that honors the cuisine of his upbringing in Italy's Marche region. You can also tell people that part, too. 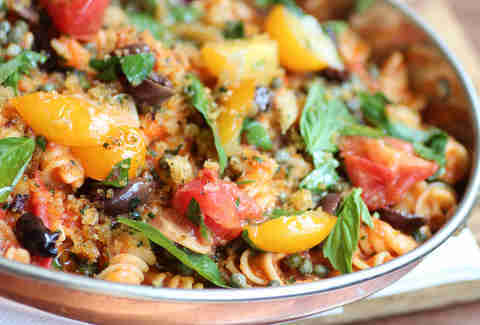 Kick things off with the daily made-in-house pasta, like the fusilli with Summer heirloom tomatoes, olives, capers, basil, and pane fritto, aka fry bread, aka the reason you're wearing your business-casual elastic-waist khakis. 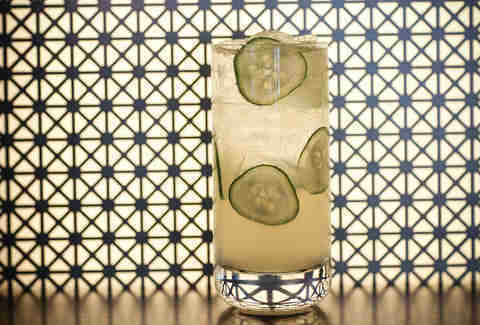 As seasons come and go, drinks will be added and removed from said menu, but, for now, seize the warm-weather moment and grab the refreshing-as-hell Acqua Della Vita, which features Hendrick's, mint simple syrup, lime, and cucumber. Made for two or four people, the polenta "spianatora" (served on a wooden board) switches up all the time, so we're not going to tell you to specifically get this pup, chock-full of shellfish and other oceanic delights. 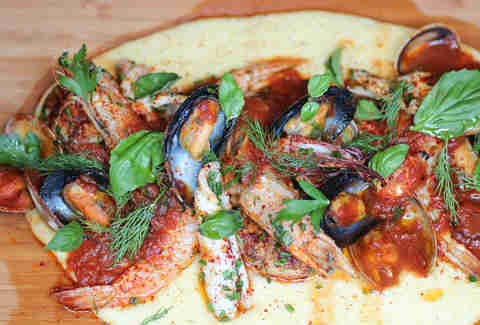 But, well, you probably need to get this polenta full of shellfish and other oceanic delights. Served specially on Giovedì (Thursday! In Italian! Learning! 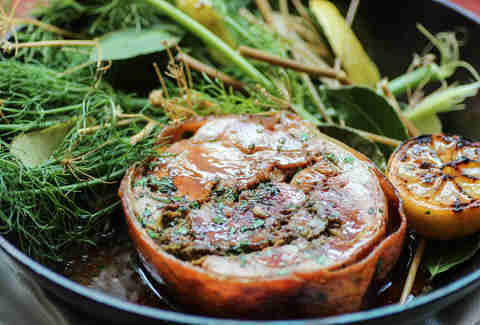 ), the Porchetta Ascolana is marinated for four days w/ wild fennel pollen and brought out in custom-made steel basket. 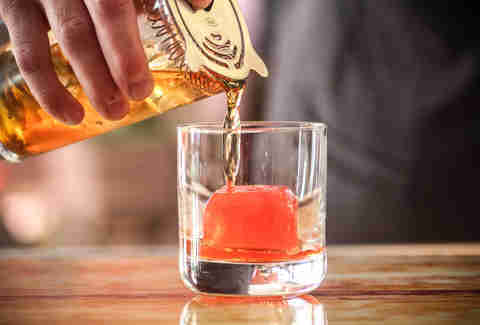 The Il Palio is such a special, handsome, and beloved drink that they make it its own ice infused with Campari. The ice slowly melts and mixes in w/ the bourbon, Cocchi, vermouth, and orange bitters, ultimately making the drink more boozy/special and beloved.